CM – Cocaine Models represents Models in Berlin & surrounding area. For campaigns, online shops and TV advertising. Berlin is a tough place! That’s why it’s always good to have a reliable agency partner by your side. We assist you in the selection, selection and organization of professional models for your fashion show or advertising campaign. Model agencies are in Berlin like sand on the sea, so it is always good to look for one of the best and thus to try the leap into the career. As a modeling agency, we are as often as possible in Berlin to scout new fashion talent and to discuss projects with fashion companies and media agencies and realize. Especially Berlin-Mitte attracts many tourists, media representatives and creative people. You can see it every year, among others. at the Berlin Fashion Week and many other events by day and night. Of course, we are always happy with our models on site. We are your point of contact in Berlin not only for fashion shows, but also for image films, advertising and magazines In our model index you will find more and more models from the capital. Thus, we can continue to expand our model booking services on the Spree. If you are interested in working with one of the emerging modeling agencies in Europe, be it an advertising agency, photographer or fashion company, call us! ✓ Models for advertising productions & Co. In Berlin we had great campaigns among others. with Johanna, Marie & Johannes but also wonderful days at the Berlin Fashion Week with our models and new faces, between the first castings and shows for the great German designers. Berlin is next to Hamburg the absolute hotspot for models in Germany. Apply now as a model at Cocaine Models. For jobs in advertising productions, fashion and in magazines. Send us now your polaroids with current dimensions, we look forward to your application! Fashion is very important in Berlin, not only in Germany, but also internationally Berlin is known for its individual style. A city for creative and crazy fans who want to let off steam in terms of fashion. Berlin is also an important city for designers, especially NewComer in the industry, not least because of the various fashion fairs and events during Fashion Week Berlin. The Fashion Week in Berlin is known internationally and makes Berlin a fashion metropolis in Germany. During the Berlin Fashion Week, celebrities, journalists, designers, bloggers and fashion enthusiasts will bustle around the city on the river Spree and visit the fashion show of well-known designers such as Guido Maria Kretschmer, Marc Cain, Marina Hoermanseder, Riani or Dimitri. These take place either at the runway in the fashion tent at the Brandenburg Gate, in in-locations or large luxury hotels. In addition to the famous and notorious after-show parties during the Berlin Fashion Week, Berlin has a lot to offer in terms of party as well as the fashion week. Read more about haute couture and pret-a-porter fashion here. celebrating in Berlin is just like fashion in Berlin: versatile, crazy, trend conscious and boisterous. The fashion fairs in Berlin during Fashion Week also make up the fashion metropolis and regularly attract not only journalists, bloggers and more, but also boutique owners or buyers of large fashion houses from all over Germany. Following is a list of the famous fashion shows during the Mercedes Benz Fashion Week in Berlin. Media Agency: Models, Online Marketing & Co.
As a model and media agency, we have many services for advertising agencies and brands, such as small video clips for Youtube and Co. Quick selection? Read a little more about modeling agency here. We take over your fashion show with our know-how as a fashion show agency. Model search and extra attention? Here you can find more about our casting agency. We like to give your team a first media consultation for digital strategies and campaigns: Contact & Advice. We review and analyze the reinforced media ratios and opportunities for your Berlin promotion, including for later reports. When it comes to advertising campaigns and concepts for multimedia marketing, as a media agency we look very closely at possible opportunities and potential. With 3.5 million, Berlin is one of Germany’s largest cities. Even now 462,180 users are online. Every day users give 2.369.905 Likesin the networks, 5.266.455 messages or upload 184.326 pictures. More than 2,501,566 interactions in social networks daily. Companies, whether fashion or more traditional industries, invest statistically here over 370 million euros, only in online advertising. On Facebook nearly 2 million are registered and almost 2 million on Facebook. On every single km² 3,948 people work and live. At prime time, against 19-20 clock even 739,207 users in the social networks. Berlin has a decisive influence on media usage in Berlin. That is why influencer marketing is gaining in influence. We make the perfect selection possible with experienced partner agencies throughout Germany. CM Casting, our casting agency takes care of the entire upcoming organization for your casting in Berlin: model, actor or show presenter. As an agency for models for Berlin, we always strive to create the perfect production result for our customers. We ensure serious placement of jobs in TV series, magazines and advertising for high quality brands. With established agencies, we can quickly provide the ideal proposals. Our casting agency team takes over the complete project for your team in Berlin: placement research, casting and project management. Together with our casting managers, we will discover together the most experienced candidates for your project. We find the perfect cast for your corporate films. No matter if it will be a casting for your company’s image films, photo shoots or commercial video shoots. Models in Berlin have particular competition. Only in Berlin and Hamburg there are daily castings for commercials, photo shoots and fashion magazines. Who has the right contacts, comes to the best addresses. But it will be a long way to go. To conquer the international catwalks from Berlin, there are some success factors that every budding model should bring with them. One of the basic requirements is body size. A minimum size of 1.75 m has counted for years as one of the tickets for a professional model career. Because even though the exceptions such as Kate Moss keep making headlines, these models are still the exception to the rule for a professional modeling agency. As a second criterion, age is also a decisive factor. Most newcomers start with modeling at 16 to 20 years old. Some models are discovered earlier. Whereby it is usually an occasional part-time job, which requires the consent of the parents until the age of majority. Furthermore, other features play a major role in modeling. First and foremost, these include pure skin with invisible pores and well-groomed hair that make a variety of different looks possible. Also this commercial was created with casting agency in Berlin! The production for Henkell Trocken, with Mark and Janine. If you want to try yourself as a model, send us your model application. If you have exactly these basic requirements and have been thinking about working as a model for some time, you can take the first step into your modeling career with an application to a Berlin model agency. It requires both a formal cover letter and images created by a professional photographer. Anyone who has already worked as a model usually has a model portfolio that should not be missing in any job interview. Reputable agencies do not require money from their models for the exception in their file or the creation of a sedcard. The expenses count as an investment, as the agencies also earn in the later bookings of their models. Another basic requirement for working as a model is to prove discipline. This applies to every kind of booking as well as the previously completed auditions. A not insignificant part of the job consists of waiting times, working hours that often last well into the night and the persistence in Poznan for the perfect picture. This is just as much a part of the work as a model, as is the make-up and styling of the hair. Since the young girls or even male models is only part of a whole team, it is necessary to write back their own ego and to quickly establish a professional working attitude in order to be really successful as a model. Therefore, the punctuality of a model is one of the keys to success. This is especially true for outdoor shootings where there is often little time to take advantage of the perfect lighting conditions. Discipline and punctuality have not only been the birthplace of many German models in Berlin. Which is why they are not in great demand around the world since well-known faces like Claudia Schiffer and Heidi Klum. Not to be underestimated in a life as a model is the ability to take criticism to heart, but not to lose the frequent rejection during the auditions the fun of the profession. Often, those responsible already have an exact picture of the models for their campaigns in mind, where even small details can make the difference for a rejection. For a successful modeling career, it is therefore a great advantage to build a network. With contacts to photographers or other people in the fashion industry or advertising, it is easier to remember and to be in a shortlist for a future project. The dependency on castings is much less strong through the network than without these additional opportunities and opportunities. You want to learn more? Look in our blog for tips and insiders about modeling. Berlin models who believe glamorous photo shoots and elegant walk on the catwalk are the only facets of the profession quickly experienced the other sides of the model everyday. This means, for example, the competitive situation, which expects the predominantly young girls not only in the modeling agency, but also in the castings. These are also given only in individual cases, fixed dates, which is why waiting times make up a large part of everyday life. In addition, a model earns money only with the jobs but not with the castings. However, there is no guarantee that you will not be able to land a coveted job with a casting. But then you should not lose heart and think positive, because we betray the best restaurants in Berlin. The prevailing opinion as a model in the shortest time to earn a lot of money and lead a luxurious life is only really a reality for very few models. Because for a majority of models in Berlin or other cities, this job is a full-time job, which leaves little free time or space for other activities. Instead of in their own apartment, the modeling career begins mostly with other models in a shared flat, which can rarely compete with the standard used by home. The living in these shared apartments also includes constantly changing roommates, so that there is hardly any time to get to know each other better or make deeper friendships. As a model, you are traveling a lot and have to be prepared for any situation. Check out the Model Basics on travel, casting and jobs here. Berlin is still regarded by many models as a springboard into the international fashion metropolises such as Paris, Rome or New York. Once here, the international competition of the most beautiful models from all six continents reaches a new level. Because each of the models that has made it to this point pursues the same goal to run the big fashion weeks and present the latest collections of the most famous designers. Of course, only the models who have achieved exactly this goal with the help of a modeling agency, such as Gigi Hadid, are publicly known. The many unknown faces of the modeling industry are quickly forgotten. What distinguishes these lucky few today is not only their jobs but also the promotion of their own person in the social networks. From Instagram to Facebook, a successful modeling career today is associated with much more initiative than just photo shoots or catwalk appearances. In the end, however, happiness always decides which model people will remember in 10 or 20 years from now. In the job a model everyday life in Berlin consists of waiting times. For the model, this means to sit still for several minutes or even hours during make-up and hair styling or to wait for the set to be set up for a shoot. Anyone who loses patience here behaves not only unprofessionally, but also leaves a negative impression on the customer. However, this does not just apply to behavior, as the body of a model also has to become a figurehead of one’s own professionalism. Being on the set with greasy hair or blemishes is therefore just as much a no go for a successful model. Customers expect this from the models they book as well as the model agency, as each shoot is usually associated with a tight schedule and budget, leaving little room for a new casting. In this respect, everyday life on the set has little in common with what casting shows for models convey. After all, in the real working world of a model it is not the jury’s rating that counts, but rather that the model suits the respective collection or the advertising concept. Being at the right place at the right time is therefore the true catalyst for a long career as a model. You want to know more about the topic? Look at models in Berlin over! Influencer marketing in Berlin – how does it work? “Influencer” stands for a person who, due to their high reputation and long reach, is particularly exciting in social media such as Youtube and Instagram for the marketing of brands. Berlin influencers have made a name for themselves with their subscribers through hard work. We work with our social media agency every day to make even better campaigns for Berlin. An influencer is always a person who has made a real name in the subject matter through his competence with fans, whether Youtube, Twitter or Facebook. When it comes to influencer marketing by advertising agencies, people with a wide-reaching community are used for advertising and marketing campaigns to ensure their success. When marketing new services in influencer marketing, it is important to win opinion leaders for their own brand, which are in demand as renowned experts to stand by their good name for new products. Influencers, for example, influence the referrals and ratings of brands, employers, products and companies. In Influencer Marketing, we aim to increase the value, trust and credibility of your brand based on the fans’ trust in their influencers. For example, fashion bloggers are usually very present influencers with a long reach in the world of social media. The latest trends around the topic of styling! Also interested? More and more young people are moving to the metropolis of Berlin. This popularity is due not only to a modeling agency, but also to the pulsating mix of different cultures in combination with the famous Berliner Schnauze, which quickly encourages visitors to stay. Berlin is not only the capital of hipsters and IT girls, but also offers every personality the chance to develop freely. From the conservative bank employee with permanent employment and terraced house to a life artist who really does not start his day until the evening hours, everyone in Berlin will find the best conditions to live their life according to their own ideas. Despite the large differences between the life plans, the cohabitation of all these characters in Berlin is very harmonious. With much tolerance and respect it has become the inhabitants of Berlin to become one of the most popular cities in Europe. This is most evident in the cultural offerings. Here, residents and visitors can expect a wide range of museums, squares that have made history over the last few centuries and a vibrant nightlife. Therefore, people who have spent their entire lives in Berlin always discover new facets of their city. With more than three million inhabitants, there is a colorful cauldron in all twelve city districts of Berlin, consisting of different influences and regional characteristics. Artists and people with a creative streak have been drawn to the districts of Friedrichshain, Kreuzberg or the internationally known Prenzlauer Berg for a long time. The Berlin elite, on the other hand, settled in the districts of Wilmersdorff and Charlottenburg. In the Mitte district are traditionally the most shopping, which is why people rather live there, who enjoy the big city flair and want to enjoy these atmospheres throughout the day. The private private retreat can be found here in the backyards with private green areas and the private balcony. From this clotheslines are stretched to the neighbors and also like to chat or asked with a famous Berlin snout to be quieter. In the outskirts of Berlin, on the other hand, there are also many green corners, which provide a break from the hustle and bustle. Another typical feature of Berlin is that its inhabitants identify strongly with their respective districts and consider themselves Berliners rather than Spandauer. This is not least due to the good infrared structure, which is available in all districts and everything from kiosk on the corner of the supermarket to the model agency provides everything a perfect neighborhood makes. Not to be missed is of course the Currywurstbuden, which have been family-owned for many generations and count among their customers from grandchildren to grandparents of all ages. Berlin therefore has exactly the right living environment for every personality and every model. Berlin models are great! That’s why we love Berlin, all its people and the fashion and lifestyle industry of the German capital. Our modeling agency Cocaine Models, based in the TV capital Cologne, is situated throughout Germany. 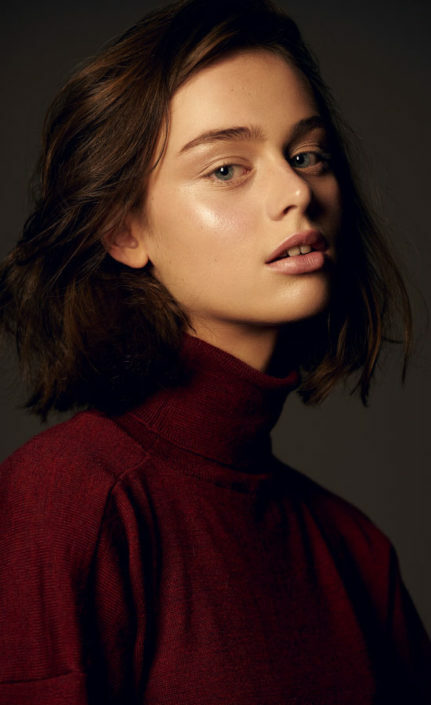 We rely on friendly contacts, strong models and clear model management, booking and casting. What’s up in Berlin? The capital of Germany has always been in the heart of fashion in all its epochs. In Berlin, both women and men, as at almost all times that the city has experienced, wear a variety of styles. The viewer can get an idea of ​​the fashion culture of Berlin at the Berlin Fashion Week, which is backed by a network of local companies. At the same time, Berliners and Berliners are getting in the mood for the hottest events chic, and they do that with a great deal of taste. What makes Berlin special for models? Guests from the rest of the country and of course from around the world give the city indescribable splendor. International fashion is shown in the city at the Berlinale, because young fashion designers from Berlin find their parquet here in their hometown. Then they come, the big stars and show themselves. But Berlin’s trendy fashion clubs such as those by Jeanette Schwade, Fiona Bennett or Fortschritt Berlin can also be admired in trendy Berlin clubs. As always Berlin is so diverse that it can not be restricted. Berlin fashion shines in Vogue, which is based here, as well as in reports of local radio and television stations. Especially for the Berlinale are the young makers rightly in the center. For example, the Galéries Lafayette combines the fashionable bargain hunt with the enjoyment of French specialties. Fashion from Berlin, Germany, Paris and the whole world can not only be found there, but in hundreds of boutiques throughout the city. There, Berlin’s young designers can also prove that they can compete against internationally introduced labels. Berlin has never disappointed in terms of fashion and will not do so in the future. Wolfgang Joop is a German and internationally active and successful fashion designer who founded the fashion company JOOP named after him. He is considered together with Karl Lagerfeld and Jil Sander as the most successful German in this industry. Joop was born the son of Gerhard and Charlotte Joop in Potsdam near Berlin. He grew up on the farm of his grandparents, Gut Bornstedt, at the park of Sanssouci, until the family moved to Brunswick in 1954. He is also known from the German television program “Germanys Next Top Model”, in which he is seen as a juror alongside Heidi Klum and Thomas Hayo, but at the Fashion Week in Berlin you can not only marvel at the clothes of Wolfgang Joop! Our scouts are on the streets of German cities like Berlin. Are you from Berlin? We look forward to receiving your application from Cocaine Models. We organize castings for specific model requests. However, in order to find convincing models for inquiries and jobs we are also breaking new ground. Why? This is how we cover a wide range of potential sightings. More chances, more success, more quality! Over the years, we have built up a good network. With Cocaine, we achieve the best results for ourselves and our customers. Do not hesitate to submit your booking to Cocaine Models. We have a meaningful model portfolio, are networked with multimedia and have creative, young concepts to inspire people. Make our experience your advantage! We look forward to your call. Check out the current dates here: Casting.